Comic-Con audiences were the first to see the latest vision of the Eighth Wonder of the World. Kong: Skull Island won’t open until March 17 of next year, but you can see the first trailer now. 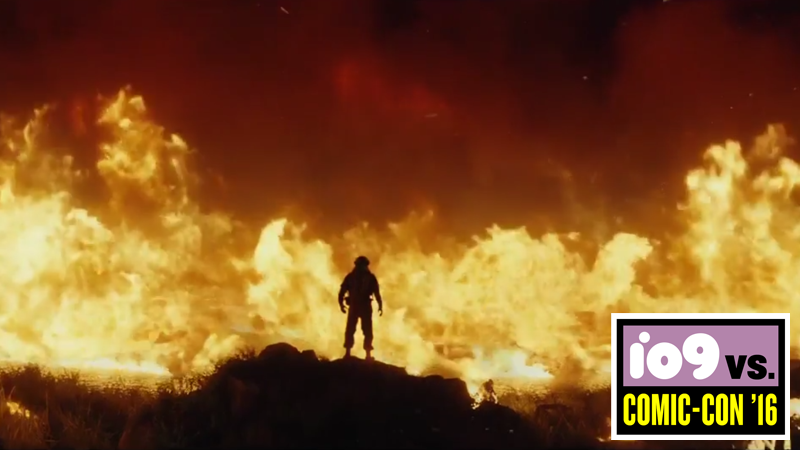 You can tell from that imagery that director Jordan Vogt-Roberts was obviously influenced by Francis Ford Coppola’s seminal film Apocalypse Now. The whole thing is set in the ‘70s, in the jungle, and has a very sweeping, war movie feel to it. Starring Tom Hiddleston, Brie Larson, Samuel L. Jackson, and John Goodman, Kong: Skull Island is the next film in a shared universe that’s leading up to Kong vs. Godzilla.